Illustimage is free clip art & graphics image collection which can be used for commercial purpose. Jan. | Feb. | Mar. Apr. | May | Jun. Jul. | Aug. | Sep. It is a recommended illustration material for cute frogs and tadpoles. Clip art is a transparent background. A cute frog wearing a Santa hat. It is a Christmas illustration material. 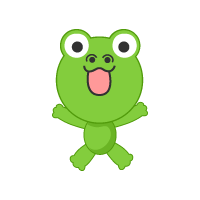 This clip art that the image of a small child frog singing happily. It is animal clip art the image of a frog to sing. Frog animal clip art to sit on the leaves of the lotus. 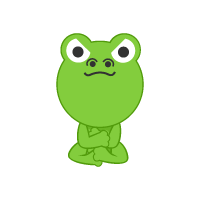 It is a cute frog clip art to choir singing. Parent-child clip art that the image of a small child frog and mother. 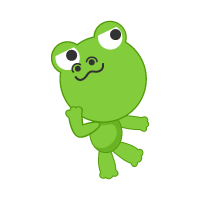 It is clip art image of frog character. 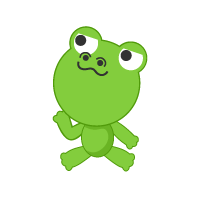 It is a cute frog character clip art. Frog clip art to shelter put the leaves in the head. Please in the rainy season image. It is animal clip art of the frog character. It is jumping frog of animal clip art. 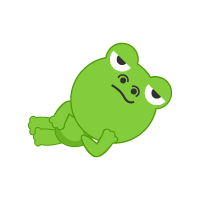 It is animal clip art that the image of a cute frog. 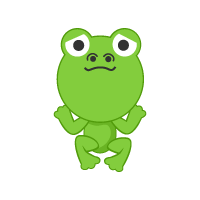 Small is a children frog clip art. It is a frog wallpaper image designed frog silhouette with a colorful pattern.